If you're in the market for a 32-inch TV but can't summon any interest in 3D or can't afford the exceptional TX-L32DT30B, then Panasonic has the TX-L32E30B with which to tempt you. This strips away the 3D stuff and a few other bits and bobs to deliver a much more affordable edge-lit TV without, hopefully, any sacrifice in picture quality. The TX-L32E30B shares the same IPS Alpha LCD panel as the TX-L32DT30B, which means that it can be watched from a wider angle than typical panels. The TX-L32E30B also goes a bundle on multimedia tools, offering everything from DLNA PC compatibility to USB/SD card file playback and access to Panasonic's new Viera Connect online platform. Add to this some unusually good build quality for a mid-priced 32-inch TV, and the TX-L32E30B certainly has plenty to shout about. It has 42-inch and 37-inch siblings: the TX-L42E30B and TX-L37E30B. 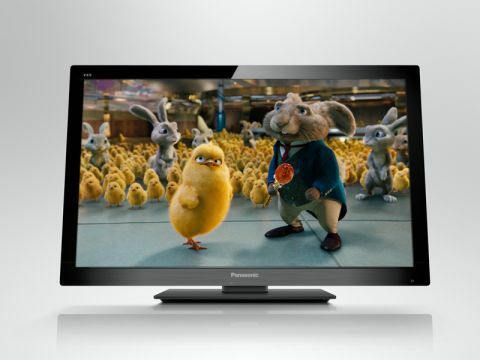 As noted, for 3D you'll need to step up to Panasonic's 32-inch TX-L32DT30B or 37-inch TX-L37DT30B sets, which introduce more sophisticated colour management tools and 400Hz (actually 200Hz plus a scanning backlight). If you'd prefer to pay less for IPS Alpha technology, the E3 series is available in 37, 32, 24 and 19-inch sizes. There is also a 42-inch model, but this has a conventional LCD display. The E3 series use straightforward 50Hz scanning rather than the 100Hz-plus-blinking-backlight of the E30s, giving them only around a third of the E30's moving picture resolution. Although this is less likely to be of interest to you if you're after a 32-inch TV, we should add that Panasonic also has an extensive suite of plasma TVs, ranging in size from 42 all the way up to 65 inches. These include the flagship VT30 series, which has 3D playback and the highest level of Panasonic's plasma screen technology, with more affordable (but still 3D ready) options in the shape of the GT30 series and ST30 series.